The stunningly picturesque city of Abu Dhabi, with its blend of classic Islamic architecture and modern corporate skyscrapers, was built on an island in the Arabian Gulf. Abu Dhabi also is the name of the region, one of seven that make up the federation known as the United Arab Emirates. Eighty percent of the population of the city, which is the capital of the UAE, consists of non-natives. They represent more than 150 nationalities. English is considered the second language in Abu Dhabi, which has street signs in Arabic and English. The lack of a language barrier eases the transition for incoming students at the emirate’s universities and other postsecondary schools. Abu Dhabi boasts more than a dozen such institutions. Some are based in the UAE, while others are foreign campuses of universities in Europe, the Americas, and elsewhere. They include public and private schools, which offer a wide range of undergraduate and master’s degree programs. The oldest and most prestigious postsecondary institution is United Arab Emirates University in the city of Al Ain. According to the QS World Rankings, it is the top university in the UAE. Founded in 1976, it has become the country’s premier teaching and research institution. More than 14,000 students from the emirate and around the world attend UAEU, which awards bachelor’s, master’s, and doctorate degrees. At last report, women comprised more than three-quarters of the student body. Colleges include business and economics, education, engineering, food and agricuture, humanities and social sciences, information technology, law, medicine and health sciences, and health. UAEU is rated the second-best research university in the Arab world. Students and faculty study issues ranging from cancer treatment to water resources. At Abu Dhabi University, undergraduate and graduate programs focus on the English language, arts and sciences, business administration, and engineering and computer science. This private university, established in 2003, had 4,311 undergrads and 145 staff members in 2013. Its main site is an Al Ain, with a newer campus (opened in 2006) in Khalifa City. Khalifa University of Science, Technology, and Research was established in the city of Abu Dhabi in 2007. It evolved from the Etisalat College of Engineering, founded in 1989 in Sharjah. Etisalat is the name of a telecommunications company that needed trained employees. The co-educational university’s 1,300 students represent more than 40 nations. The College of Engineering offers nine undergraduate degrees, five postgraduate programs, and five fields of PhD specialization. With more than 18,000 students in 2013, the Higher Colleges of Technology was among the country’s largest postsecondary institutions. It was founded in 1988, as a public school. HCT operates 17 campuses in various locations (including the cities of Abu Dhabi and Al Ain) in the UAE. Separate facilities are provided for male and female students. The university has colleges of business, communications, computer and information science, education, engineering technology, and health science. Some of the programs, including bachelor of education, are internationally accredited. The 934 faculty members, who come from throughout the world, teach courses in English. Paris-Sorbonne University is one of the most renowned postsecondary schools in the world. Its campus on Al Reem Island in Abu Dhabi provides the same humanities and social-sciences curricula as those offered in France. Some of the professors are even the same, as they often travel between France and the UAE. The university also has programs in law and political science, as well as a one-year French class. PSUAD degrees are recognized everywhere. About 500 students from 60 countries live in single dorm rooms, with separate housing blocks for men and women. According to its website, the university provides “world-class” education, and functions as a “centre for research and cultural activities.” The school’s huge library features books in six languages. In the city of the same name, Al Ain University of Science and Technology was founded in 2004. Students from more than 20 countries receive instruction in the English language, in addition to their chosen fields of study. The school has accredited programs in business administration, education, engineering, information technology, law, and pharmacy. Thirteen undergraduate degrees and 10 graduate programs are available at this co-educational institution. Established in 2005 in the city of Abu Dhabi, ALHOSN University consists of three colleges. They provide degree programs in education, English, social science, accounting, business administration, management information systems, architecture, civil engineering, interior design, mathematics and natural sciences, mechanical and industrial engineering, software engineering, and urban planning. 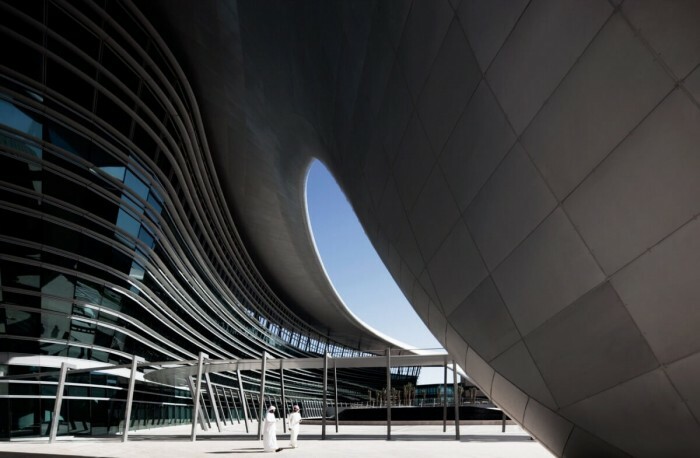 A graduate school and research facility in Masdar City, the Masdar Institute of Science and Technology enrolled 417 students in 2013. Only 162 of them were from the UAE. More than 80 faculty members provide an impressive student-teacher ratio of 5:1. Bachelor’s and master’s degrees in various scientific fields, as well as a doctorate in interdisciplinary engineering, are available. At last report, faculty and students were conducting more than 300 research projects. They concerned issues like alternative energy, sustainability, and the environment. The school opened in 2009. Founded in the United States in 1955, the New York Institute of Technology is a private institution with campuses in North America, China, and the Middle East. It features a College of Arts and Sciences, as well as a College of Osteopathic Medicine. There are also schools of architecture and design, education, engineering and computing sciences, health professions, and management. NYIT offers more than 50 degree options for undergraduates, and a similar number of graduate programs. Downtown Abu Dhabi and Saadiyat Island are the sites of campuses operated by New York University. The school’s Center for Science and Engineering, a research and laboratory facility, is 12 miles outside the capital city. NYU has five academic divisions in Abu Dhabi: arts and humanities, engineering, science, social science, and multidisciplinary. Students choose from among 22 undergraduate majors. Graduate programs are provided in biology, chemistry, and engineering. Named for the founder of the UAE, Zayed University was established in 1998 and became accredited 10 years later. It has three campuses, including one in Abu Dhabi, where classes are taught in English. The government-sponsored school accepts more than 7,000 male and female students annually. In recent years, they have represented about 20 countries. Zayed awards bachelor’s degrees in arts and sciences, business, education, information technology, and media. Master’s programs include business administration, health-care management, diplomacy and international affairs, and museum studies. Foreign students learn Arabic while pursuing their degrees. In addition, Abu Dhabi has two business colleges (INSEAD and the University of Strathclyde Business School), a branch of The Petroleum Institute, and the Emirates College for Advanced Education. The faculty and staff at Abu Dhabi’s higher-education institutions come from 50 countries. Such diversity matches that of the cosmopolitan city. International students find that the emirate not only offers quality postsecondary education. It also is an interesting place to live for a few years. Among the options for off-campus activities are hanging out at the Corniche, a favorite waterfront area; going to public beaches on the Arabian Gulf coast, where boating and water-sports opportunities are available; and shopping and dining in the city. Festivals and fairs featuring art, music, and film take place annually. Students get around in taxis or leased cars, as there is no public transportation in the monarchy. International students who have been accepted by a university in the UAE are required to obtain student residence visas from the government. Educational institutions assist their students in securing these documents, which must be renewed each year. To qualify, students have to be enrolled full time and earn passing grades. They also are asked to prove their financial ability to pay for their studies. What do I want out of a job or career? Using these answers, you can easily search for various occupations and find the skill sets that they demand, or look for, in their employees. This will greatly help you select the right universities and university programs to build those skills. Do my current academic and financial options limit my choices of universities? At the end of this you will have a clear idea of the skills that you have to focus, the specific university options that you should be looking for (types of scholarships etc). What are my best work/training options? Are they realistic: How do they fit with the current market? What will help and what will hinder me? Moreover, what can I do about it? This step will give you a laser view of the options you should focus on and have more of an idea of what you need to do next to help you achieve your goals. What actions/steps do I need to take, do I need professional assistance? From where can I get help? Who will be able to support me? 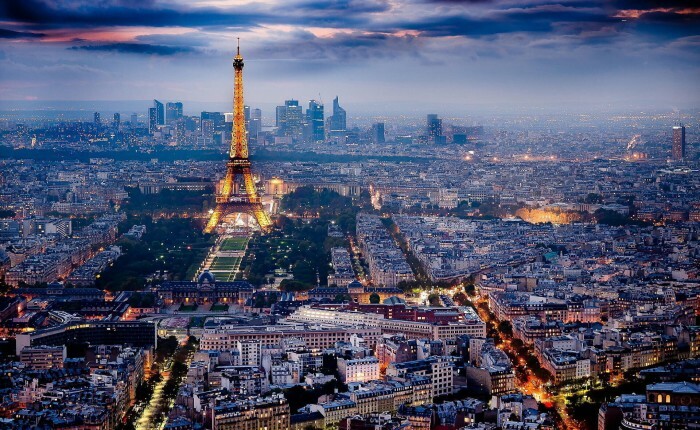 France is one of the world’s most popular study abroad destinations and over the years has come to occupy a distinct place in the global imagination. This should come as no surprise given its rich culture, urbane sophistication, the rich history, and culture of its cities, and the spectacular scenery of mighty rivers, azure seas touching upon golden sandy beaches, and rugged mountains encircling vast rolling pastures, and verdant forests. Amidst all this serenity is the long and fiery legacy of French thought and academia that hungers for innovation with a revolutionary zeal. Consequently, it has become one of the most popular tourist destinations by far. The intelligentsia and academia occupies a central place in the history of modernism and its evolution. It has a proud intellectual and artistic heritage and rightly so given that it is the nation that produced towering figures in the history of ideas. Names such as Rene’ Descartes, Michel Foucault, and Jacque Derrida; authors such Albert Camus, Marcel Proust; artists such as Paul Cézanne and Claude Monet; and filmmakers like Jean Renoir and Jean-Luc Godard. Add to the whole lists of 49 Nobel laureates and a host of scientists, mathematicians, engineers, and researchers who have made spectacular achievements make France a haven for intellectual ventures in any field of study. Though academic and intellectual tradition in France has permeated the lifestyle of its people, it’s academic and artistic tradition has been encased within the confines of various top-ranking universities, making the already rich intellectual lifestyle even more thrilling for students. Add to this the good news that most of the universities are heavily backed by government and private scholarships. This is apart from the fact that France’s leading universities offer some of the cheapest tuition fees in the world. With annual fees averaging under USD $1,000 for both international and domestic students alike, it leaves students hoping for a thrilling learning experience without a second option. The table below shows a list of the top universities in France, their costs, global ranking, and student population. The thrill of studying abroad can be exciting but you’ve got to be careful when coming out to any part of the world. There are many things that you have to check before traveling somewhere far outside your home country. What Travel Warnings Are There? Travel warnings can vary by each country. You must be on alert with regards to any restrictions or other considerations that you must use while studying abroad. What Health Rules Are There? There are many rules about your health that must be followed in different countries that you can study in. Some places have water that is dangerous to consume while diseases may be more prevalent in certain parts of the world than in others. You may also have to go through some vaccinations while at a place you are studying in. This is to protect you from certain illnesses that may not be common where you normally are. For instance, you will need a Hepatitis A shot when traveling into the Czech Republic or a typhoid vaccination if you are going to Hong Kong. Every country has its own rules on what you can and cannot bring into their borders. This is done with regards to preserving the natural habitat and lifeforms that are within a country. Be sure to see what you are not allowed to bring into a country. For instance, you will more than likely not be allowed to bring any pets or other living items into Australia with you because that country has extremely straight rules on what it can and cannot take in. Look for resources in your area so you can at least be covered and protected where you are studying. Your school might have an office in the area that you can get in touch with. Try and see if there’s a national embassy in your area as well. Such an office can provide you with a contact back to your home country while keeping your papers under control. Make sure you know what you are getting yourself into as you study abroad. Look to see what resources are in your area so you can be fully protected and cared for wherever you are. The number of choices for students studying abroad in the United Arab Emirates continues to grow. When the Dubai International Academic City (DIAC) was established in 2007, it consisted of 10 universities and 2,500 students. Today, the sprawling, 18 million square-foot campus features 27 institutions of higher learning, and more than 20,000 students from 125 countries. The DIAC bills itself as “the world’s largest free zone for postgraduate education,” and “the premier destination for higher education in the region.” Twenty-one of the 37 international branch universities operating in the UAE are within the DIAC complex. These institutions represent 10 countries, more than can be found at any other site in the world. Institutions based in the United Kingdom pioneered international education in Dubai. Heriot-Watt University was the first foreign school established at the DIAC. Middlesex University-Dubai offers graduate and postgraduate degree programs to more than 1,300 students from 60 countries. The Manchester Business School has MBS, MBA, and DBA programs. Branches of the University of Exeter and the University of Bradford also operate at the DIAC. The Hult Business School in the United States has been ranked as the 27th-best business school in the world. 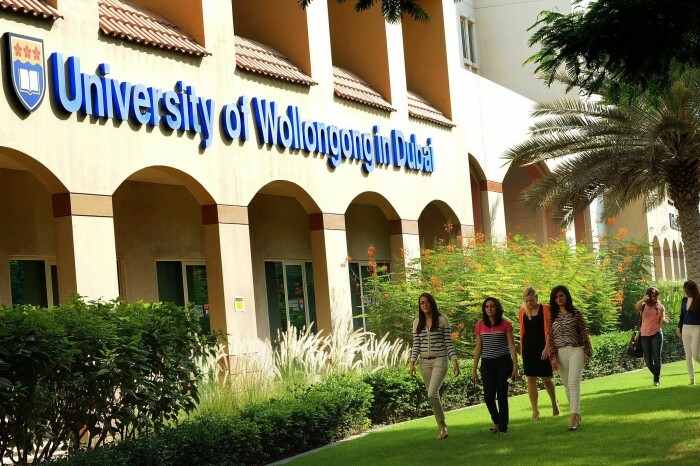 Its Dubai campus provides undergraduate, master’s, and MBA degrees. In addition, Michigan State University, a nonprofit research institution offering master’s programs; and the British Columbia-based Canada International College have branches at the DIAC. 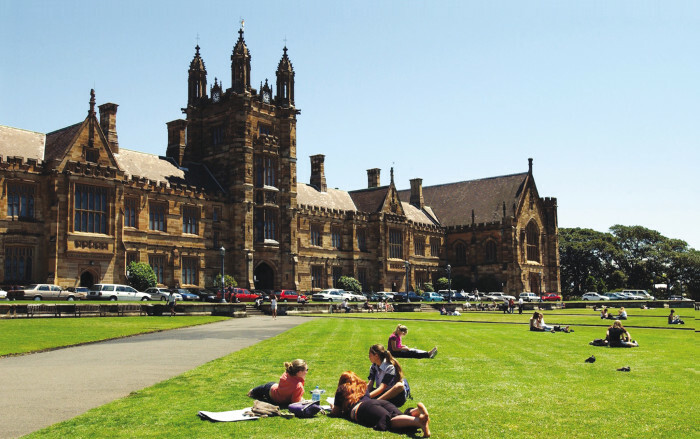 Schools from Australia include a branch of the University of Wollongong, considered one of the world’s best postgraduate institutions; the S.P. Jain School of Global Management, rated among the top 10 business schools in India; and the SAE Institute, the largest worldwide private college for audio and film production. Also, there are Cambridge College International, which awards vocational diplomas in management and marketing; and the Murdoch University International Study Centre. The DIAC features four India-based institutions: Amity and Manipal universities, the Institute of Management Technology, and BITS Pilani (an engineering school). Representing Europe are the Saint Petersburg State University of Engineering and Economics, one of the oldest and largest schools in Russia; and the ESMOD French Fashion Institute, based in Paris. Other institutions include Pakistan’s Shaheed Zulfikar Ali Bhutto Institute of Science and Technology, an independent, nonprofit graduate school; Lebanon’s St. Joseph University Law School; and Iran’s Islamic Azad University. UAE-based schools at the DIAC are the British University in Dubai (the first research-based postgraduate school in the Middle East), committed to teaching and researching technological innovations; American University in the Emirates, licensed by the UAE government; and Imam Malik College. Universities on the DIAC campus offer more than 400 undergraduate and postgraduate degree programs. Among the career paths (in addition to those already mentioned) are journalism, hotel management, film direction, fashion design, forensic science, biotechnology, tourism and logistics, renewable energy, public health, and entrepreneurship. Other courses include business administration, finance, computer science, architecture, health-care management, diplomacy, education, environmental studies, animation, information technology, Islamic studies, nanotechnology, project and quality management, solar and alternative energy, and interior design. Students from other countries wishing to study in the UAE must first be enrolled at a licensed university in this Middle Eastern nation. The universities’ administrative staffs help their international pupils apply to the government for one-year student residence visas. This document may be renewed annually, so long as a student is enrolled full time and receives passing grades. Undergraduates must be 25 years of age or younger, but there are no age restrictions for graduate students. Visa applicants must show “proof of funds” to qualify. Getting a job while studying in the UAE is forbidden. Prospective international students should contact the Dubai Technology and Media Free Zone Authority at the DIAC. International interest in the UAE began after the discovery of the region’s vast oil fields spurred rapid economic growth. Dubai’s pleasant climate and renowned modern architecture draw visitors from around the globe. The availability of acclaimed institutions of higher education add to the nation’s appeal. According to the widely recognized QS World University Rankings, the UAE is home to some of the best universities in the Gulf region. Europe may be the second smallest continent on planet Earth, yet it is home to many of the world’s best educational institutions. The leading countries include UK with the highest number of internationally ranked universities among European countries, closely followed by France and Germany. Switzerland and Netherlands are among the rising stars with universities ranked in the Global top 100 and are leading a group of smaller European countries with very strong higher education systems. With more than 320 top universities in Europe to choose from, stating the top universities in Europe is not easy. You may be looking for a university because you hope to further your education and build a strong foundation for a bright career path. At times, the right institute alone is not enough, as you also need to be comfortable with the cultural setting. We have tried to give each country its due credit so that the cultural surrounding you are hoping to enjoy while studying may be catered. 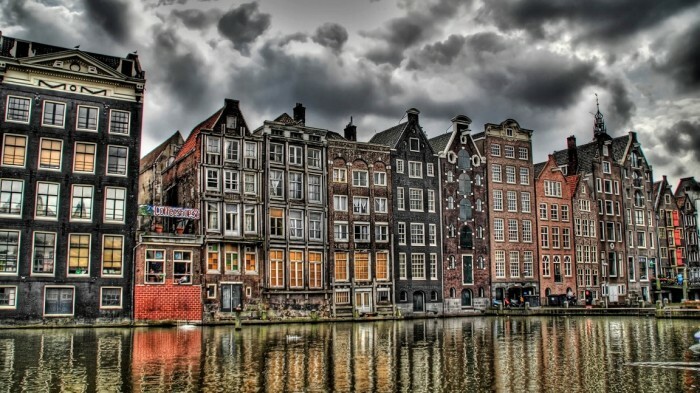 The following is a list of the top rated universities in Europe. Additional information about the state, the average annual cost of graduate and postgraduate programs and total student population is also given to assist you in making the right decision. For further information about each university or local universities in the country of your station, please visit the institute’s website. NOTE: All costs refer to annual tuition fees exclusive of registration taxes, cost of living, and other expenses. Tuition fees are subject to changes on a yearly basis. The United States of America proves to be an unparalleled student destination with over 4,000 colleges and universities offering unmatched educational experiences along with diverse course options. If you are looking forward to getting admissions in top colleges and universities in the US, here is what you need to do. Ideally, you should begin preparing for your applications in US universities by the time you are through with your 11th year of education. This gives you ample time to prepare your case against the million other applications you are likely to be competing against. Most American universities encourage you to opt for IB exams even though A Levels are not really discouraged. Besides this, you need to have your SAT scores ready by the time you begin with the application process. Plan your activities so your application stands a chance to outshine the competition. All American Universities do not follow a standardized template for applications. So try not to do so. You will be applying to each university individually. The best way to go about this is to search for each institute’s application template and then create a specialized one for each. You might be able to make use of the same information in most applications. However, make sure you keep in mind each destination’s codes before finalizing your application forms. The best part about top undergraduate universities in the US is the fact that each institute offers a unique experience when it comes to lifestyle, expenses, night life, landscapes, population and culture. Make sure you research about your destination university thoroughly. If you’d rather stay away from the city center buzz, there will be a perfect option waiting for you. Invest significant amount of time in planning your educational environment. Also, have at least 2 to 3 contingency plans in case you are unable to get into the preferred university. Don’t: Miss Out On Campus Day! This is one day you surely don’t want to miss. It will give you the precise idea about what to expect when you join the university as a student. You will be able to witness the campus life for real. It is usually held during the month of October. Get in touch with the admission office of your preferred university for more details. You need to make payments out of the pocket on numerous occasions. For instance, you will need to pay college admission fee at the time of application submission. 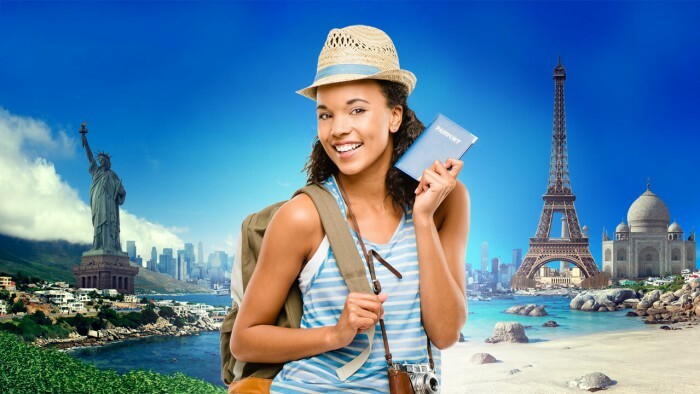 Once you’ve secured your status, the next biggest thing you need to plan for is the visa. Then on you need to care for your tuition expenses, accommodation expenses, travel costs, costs for educational resources and several miscellaneous expenses you will be incurring on a regular basis. It is a good idea to have a plan beforehand about how you will be funding all these expenses. Apply for scholarships well in advance if you need to. Top Colleges and Universities in the US are looking out for humans that will make an interesting addition to the campus. Participate actively in extracurricular activities besides studies. You will need something interesting to connect with your application viewer! For many students, studying abroad is the way that they choose to gain an education. The reasons why one might choose to study abroad are many. Common reasons include wanting to gain a certain licensure (I.E., the fact that medicine degrees in the states are highly valued) or simply the wish to go out and experience a part of the world that one has never seen before. There are many different schools that cater to international students. The factors as to why many students choose certain international destinations. Some of the international destinations include major cities such as New York. New York is packed with brilliant schools such as The New School, and Columbia University. 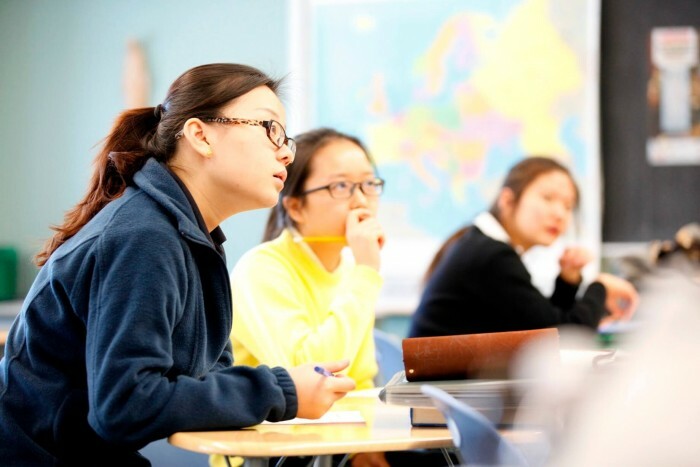 The US News and World Report recently released a ranking that stated that 29% of The New School’s student population was comprised of international students. Soka University is comprised at about 39% international students. Does the school have any special admission requirements for international students? Check with a counselor from the school to make sure that you meet all of the literacy and education requirements necessary for admission to the school. Is the school in a good location? Are you more comfortable living in the city or the country? Such things are often considered by most college students and not just international ones. However, international students may find that living in a city will give them access to more resources that will help them better adjust to life away from home. How close is the school to a major airport? Is it easy to get around campus? Since you will likely be attending school without access to a car these will all be important things to consider. How diverse is the student body? While some people are comfortable being the only one of their ethnic group in the entire school others may not be so comfortable, particularly if this is their first real time away from home. Having other international students that you can connect with will help you adjust. A lot many students make the mistake of going by generic rankings, remember institutes have different ranks in different disciplines of study, rankings for a specific discipline or department are based on numerous criteria like on-going research, quality of the faculty, amount of industry funded projects in progress, Number of international students etc. So before making a decision make sure you have all the relevant data specific to your discipline for the institute in question. Ongoing research in a university or institute is a very good indicator of the institute’s accomplishment and reputation in industry circles for a specific discipline. A little known fact is that usually job placements from a department are intrinsically linked to the number of funded projects in progress within a department. As an international student you will be looking to recover a part or – in an ideal situation – all of your education expenses through RAs TAs or on campus jobs. Check out the following factors number of RA or TA positions granted within your department, total amount of money distributed as aid, and finally percentage of students who is granted financial aid in any given year. 8- What Do I Want to Study? Can I use my degree back home? Certain degrees are very specific to the country that they are earned in. For instance, the medical licensing requirements in the US are different from those in France because the US is generally more permissive when it comes to alternative medicine such as Osteopathy. Another example is a law degree. Many countries have differing requirements for the education of lawyers that have to be met. Some choice destinations for international college students are not only schools in New York but also schools in other city centers such as Washington DC, San Francisco, and Boston. Choice destinations for international students also include The College of William & Mary in the small town of Williamsburg, Virginia. William & Mary is known for the large amount of students from china that it attracts due to its’ magnificent law school and excellent science programs. William & Mary also boasts a unique claim to fame: it is surrounded by a 300 year old city where the revolutionary era way of life is preserved, making it an excellent opportunity for students who also study history or the arts. In short, there are many different factors that determine what the best destination for an international student is. The main factor is you. Make sure to use these tips but remember: you are not going to school for the sake of someone else. You are going for the sake of yourself and the most important thing is that you make yourself happy. The excitement of studying abroad can be very thrilling. You will certainly enjoy traveling to another country as you will expand your horizons, explore new things and make lifelong connections with other people. However, that does not mean that every country in the world is right for you. You must think about a few pointers when figuring out what country you would like to study abroad in. There are clearly going to be some limits as to where you can go. It’s certainly going to cost more to travel out to a more expensive place like Hong Kong or Singapore than it is to travel to the United Kingdom, for instance. Think about the costs associated with your study abroad plans and see if you can choose something that is easy for you to get into based on your budget. Think about whatever you are interested in when choosing a place to study abroad in. What languages are you interested in studying, learning or speaking? Are there particularly cultural concepts in certain parts of the world that you are more interested in than others? Be sure to ask these and many other questions when thinking about what’s in the spot that you want to head out to. 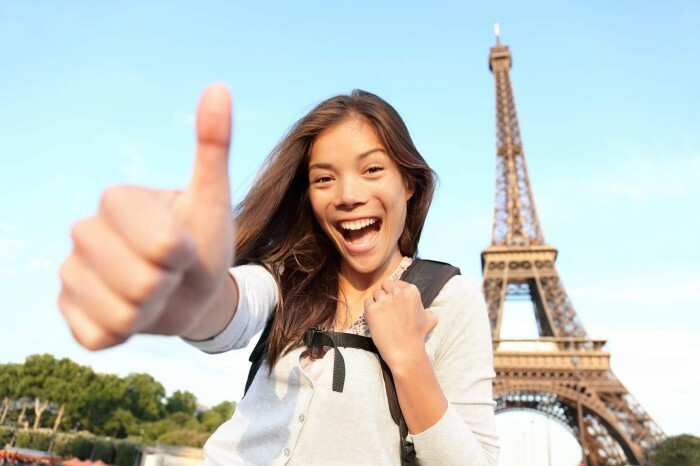 You might be surprised at what you can get into while studying abroad. There are many things that you can study all around the world. If you’re looking to study solar energy then maybe you can find a place in Africa where people are learning about this in order to help people. Meanwhile, if you are studying the arts then you can study abroad in a country that is rich in culture like France or Spain. Think carefully about what you want to study when choosing a place to head out to. Everyone has their own comfort zone that is based on what they are more interested in getting into. You must think carefully about what you want to do and if you are open to certain ideas relating to your mind, your faith and your attitudes towards health and living. Be advised that no matter where you go, the status quo in your life will certainly be tested. The options for you to choose from when studying abroad are vast. Make sure you think twice when choosing a place that you want to study in. It’s all about having an experience that you are comfortable with while also expanding your horizons if possible.